Do you find that you carry out a lot of marketing activity yet are disappointed with the results? It is so easy to think that because you are constantly communicating that surely someone will be listening and the business will simply flood in. This is a common misconception and in this article Paul Finch of Pulse Creative Marketing outlines the main reasons why you may struggle to generate leads from your marketing activity. The main reason that most marketing activity appears fruitless is because it hasn’t been planned effectively. It is so easy today to opt for the easy option and maybe send out a few posts on Facebook, advertise in a magazine or distribute a few thousand leaflets. All of which we believe will generate enquiries that will convert into business. The problem is that if you haven’t stopped to think about who you are targeting and why, you are likely to be wasting time and money because the wrong information will be going to the wrong audience. Creating a marketing plan listing your customer groups and then identifying the needs and wants of each group is the first thing you should do before sending out any communication. Once you’ve identified your customer groups you then need to ask, what problem do you solve for each customer group? This is important because you need to know what the core benefit is that you provide each customer group. Think about when you buy a mobile phone, there are a number of different options depending on your needs and wants. If you need a phone for business you may want more texts and unlimited calls, for the family user a family deal saving money on combined bills maybe more important and if you are a gamer you may need a mobile with a larger screen and lots of data. The solution is tailored to the problem that each customer groups has. If you can identify the problem you solve you can use this as the core benefit to promote in your marketing message. How do you choose the right marketing communication method? Once you’ve got a plan of who you are targeting and why, you can then start to plan the marketing method to use. I speak to a lot of businesses who say they use social media and tell me it doesn’t work as they don’t get any actual business from it. This is primarily down to the fact that social media is only one form of communication and should not be used in isolation. If you plan your marketing around your target customers you may find that actually your customers prefer to communicate and respond in different ways. Developing a marketing mind map showing these different methods is a visual way of selecting the most appropriate. In this way you may find that certain customers respond better by personal contact and communication such as sending a newsletter, direct mail and social media helps support this. The solution will differ depending on your business but one thing is for certain, you should identify a mix of carefully selected communication methods to get the right message to the right customer groups. Paul Finch runs Pulse Creative Marketing and has helped numerous businesses develop and grow through effective marketing and communication. 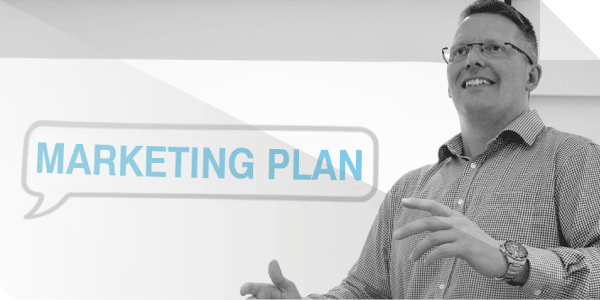 Paul regularly delivers seminars and workshops including a Getting Customers workshop at the North East BIC every month providing more useful tips on how to plan and target your customers effectively. The workshop will help you plan your marketing and develop a route map to grow your business. To arrange a marketing review for your business get in touch.